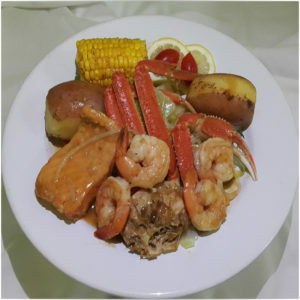 Juicy sweet & tender shrimp marinaded in a delicate light sauce, soft delicate salmon baked in a brown sauce until cooked to perfection; succulent sweet crab tossed in a light spicy sauce. Served with sweet corn, potatoes, and steamed vegetables. 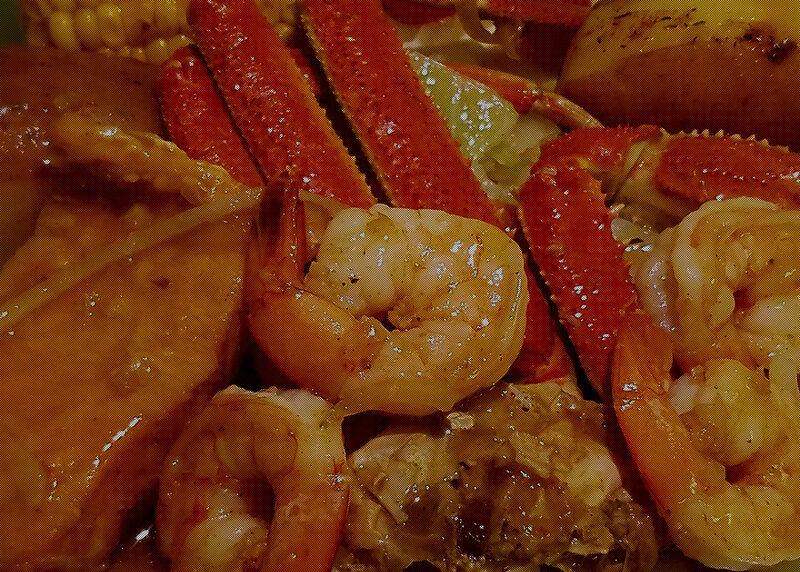 Sweet crab with a hint of spice, soft and delicate salmon cooked to perfection, mouth watering sweet & juicy shrimp.